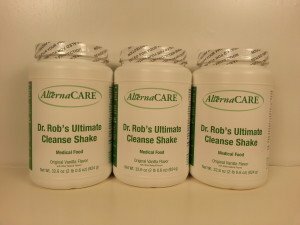 Dr. Rob’s Ultimate Cleanse is a 21 Day Detox Program that is designed to support the removal of toxins from the fat tissues. 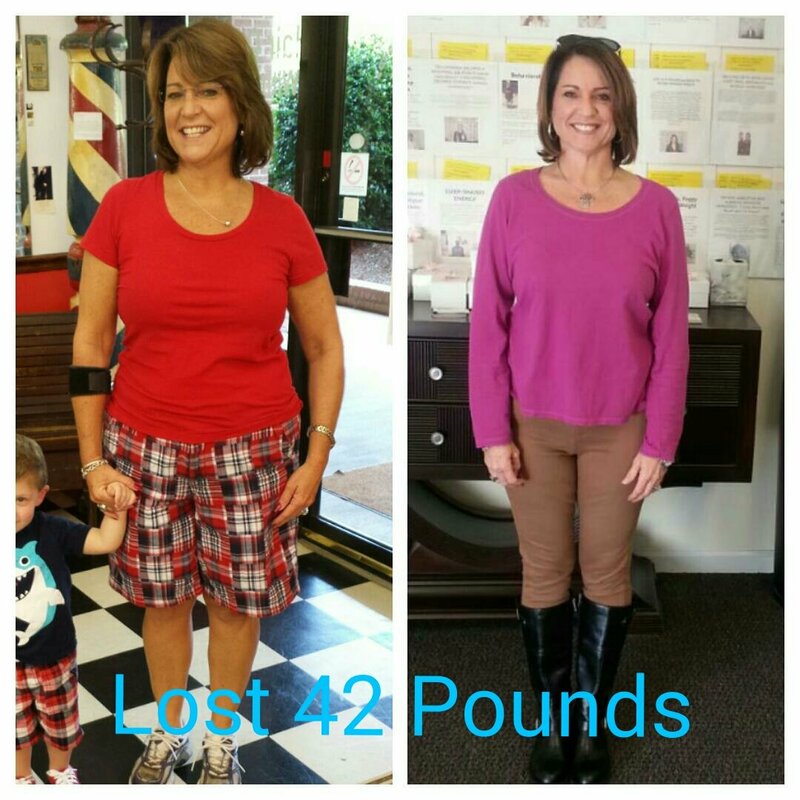 The average person will lose about 9 pounds in the 3 week period but some will lose as much as 15 pounds. 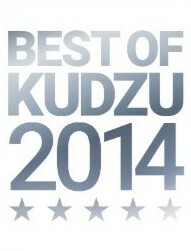 I really love this product and what it does for patients. Only natural substances such as rice protein, olive oil and other goodies. Specialized nutrients to assist in detoxification. Is a whole food product. Has no, wheat, soy, dairy or corn. Comes with a free 4 page instructional guide to take you step by step through your program. 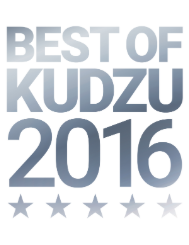 Comes with FREE EMAIL SUPPORT so you can get your questions answered by one of our trained professionals. 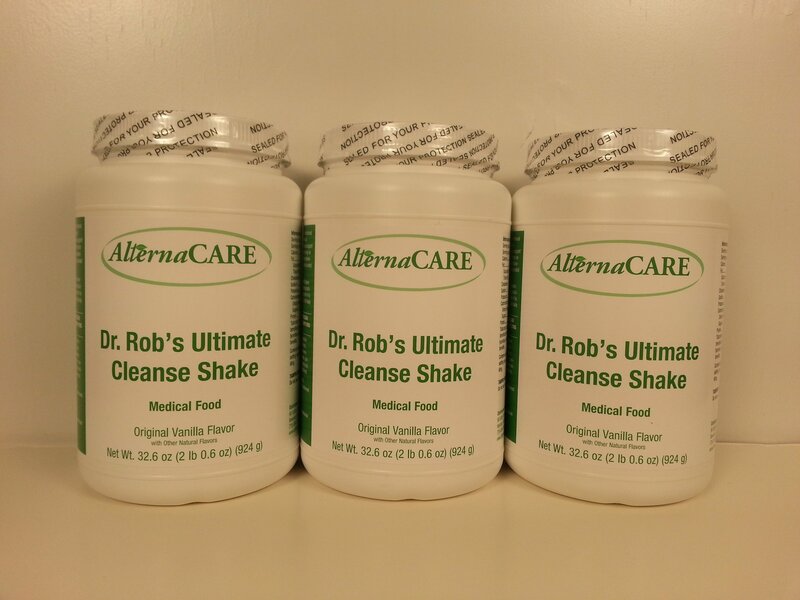 Start with 3 Jugs of Dr. Rob’s Ultimate Cleanse for the 21 days, however some will require 4. I recommend you start with 3 and if you are getting low just purchase an extra jug. 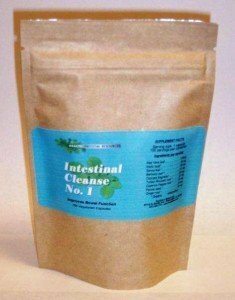 If you have any problems moving your bowels or have a history of constipation it is recommended that you also purchase one pack of the Colon Cleanse formula. 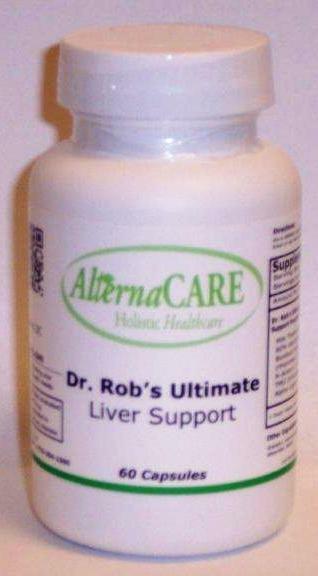 If you feel you are really toxic or have any history of liver problems, it is recommended that you purchase Dr. Rob’s Ultimate Liver Support Formula. Just highlight the below option that best fits your needs and then click the “Buy Now” button below. Each person is different and the results above are not a guarantee of improvement but a reflection of what past patients have said after doing the above cleanse. This product is not guaranteed to treat, diagnose, cure or prevent any disease or illness. This product nor the above information has been evaluated by the FDA. Directions: Take one at breakfast, lunch and dinner. Nettle Leaf Extract: Histamine contributes to making a person all yucky with sinus gunk. This is been used since the Medieval times and is wonderful support for reducing the amount of histamine in the body. Antihistamines such as benadryl are commonly given for sinus problems however some can cause drowsiness. This formula DOES NOT cause drowsiness from my analysis. Butterbur: Contains natural substances called petasins. Petasins support the the reduction of histamine in the body as well as they help to support the reduction of inflammation and relaxation of blood vessels. Quercetin: Supports the reduction of inflammation, improvement of mast cell stability (mast cells are the white blood cells that release histamine) healthy drainage of the lymphatic system so the sinuses can clear and a person can breath easy. Bromelain: Is powerful support for the reduction of sinus pain and inflammation. 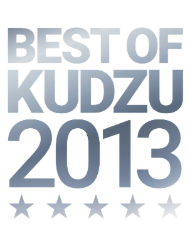 It helps support the reduction of sinus tissue inflammation. N-Acetyl cysteine (NAC): Supports the thinning of the sinus mucous. In addition. 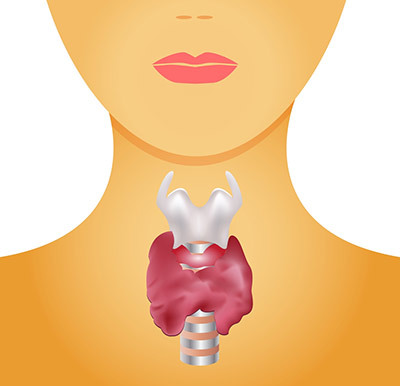 lymph from your sinuses must be moved to the liver so the liver can clean it. When the liver is congested, the sinus lymph can’t be cleaned and then backs up into the sinuses further aggravating sinus problems. NAC support the improved function of the liver so the liver can more effectively clean the lymph. Garlic: Supports the reduction of bacteria in the sinuses and upper respiratory system thus reducing the likelihood of developing a sinus infection. 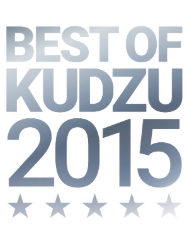 Echinacea purpurea: Support the improvement in the macrophage. The macrophage is a type of white blood cell that eats up junk in the sinuses so you can breath easily and with out obstruction. Peppermint: According to the University of Maryland’s Medical Center peppermint oil is a natural decongestant, helps to break up phlegm is antibacterial and antiviral herbal supplement commonly used to treat sinus infections. Oregano: Antibacterial, anti-fungal support for sinus problems and whole body infection. Astaxanthin: A powerful antioxidant found in salmon and shrimp that supports the healing of inflamed sinus and gastrointestinal symptoms. Grapefruit Seed Extract: One of the most powerful natural antibiotic support products available. *FDA DISCLAIMER: n This production has not been evaluated by the FDA. Nothing in this product is intended to treat, diagnose, cure or prevent any disease. This production is not a substitute for medical care provided by a licensed health care professional. If you suffer with sinus problems please ensure you see a licensed medical doctor. Dr. Rob is a licensed practicing chiropractor in the state of Georgia. Dr. 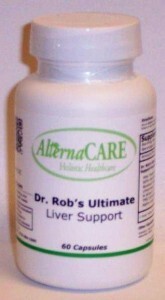 Rob, AlternaCARE nor any of his companies make any claims regarding this product. Please consult your medical doctor before using this product. Appetite reduction so you DON’T OVEREAT. We don’t want to suppress appetite and force the body to eat less. Appetite suppressants are actually harmful to the body. We only want to CONTROL the APPETITE and STOP food CRAVINGS and OVEREATING. Improves the ability of the MIND to FOCUS. This formula contains: NO HORMONES, NO GUARANA, NO GINSENG, NO EPHEDRA. NON-JITTERY, NON-ANXIOUS FORMULA: this formula doesn’t make you feel anxious or jittery. Directions: Take 2 to 3 capsulse 30 minutes or more before breakfast and lunch. .
Hoodia extract (Hoodia gordonii, 20 to 1 extract) Hoodia gordonii has a compound called P57 that works directly in the brain to help reduce appetite. For thousands of years the bushman of the Kalahari Desert in South Africa have been chewing on hoodia to stop hunger, while they were on hunts or journeys, where there was little of no food available to them. Green tea extract (Camellia sinensis, standardized to contain 50% polyphenols) – Studies show green tea extract results in an increase in the breakdown of fat and and increase in energy expenditure (a measure of metabolism). Green tea contains various antioxidants, including EGCG. Glucomannan konjac 4 to 1 extract Glucomannan is a type of fiber that helps to reduce hunger and support the improvment of fat burning. 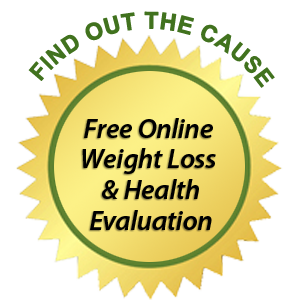 One study showed people that took Glucomannan over and 8 week period lost 5.5 pounds where people who did not take it did not lose any additional weight. It should be noted that in this study the diet and exercise programs were not changed. The only new thing added was the Glucomannan. Banaba extract (standardized to contain 1% corosolic acid) helps support healthy blood sugar levels and insulin level management. Insulin is one of the most powerful fat storing hormones in the body. If the insulin levels get too high this can cause an increase in body fat. Banaba extract helps to suport healthy insulin and blood sugar level. Fluctuations in blood sugar and insulin are related to appetite and food cravings, particularly for carbohydrates. Inositol combines with choline to assist in fat metabolism. Carnitine L-Carnitine helps to take fat and move it into the mitochondria of the cell so the fat can be burned for energy. Essentially, it is necessary for proper fat burning. Coleus forskohlii (standardized to contain 10% forskohlin) contains forskolin which increases Cyclic AMP thusincreasing fat metabolism. Acetyl-l Carnitine helps support mental alertness. Fenugreek seed extract 4 to 1 (Trigonella foenum) helps support blood sugar control and reduces insulin resistance. Guggul herb (standardized to contain 10 % guggulsterones) can support a sluggish thyroid gland and support the body to burn calories more efficiently. Guggul also helps support healthy cholesterol levels. Spirulina (Spirulina platensis) is a green blue algae that is considered a superfood with a high protein content thus feeding the cells some essential nutrients to support health cell function and energy. Ginger root (Zingiber officinales) – Ginger has compounds called gingerols which have a wide variety of beneficial actions in the body, including antioxidant activity. Cinnamon root (Cinnamonum cassia) helps support healthy blood sugar levels. Apple Cider vinegar is obtained from the fermentation of apple juice which leads to acetic acid. 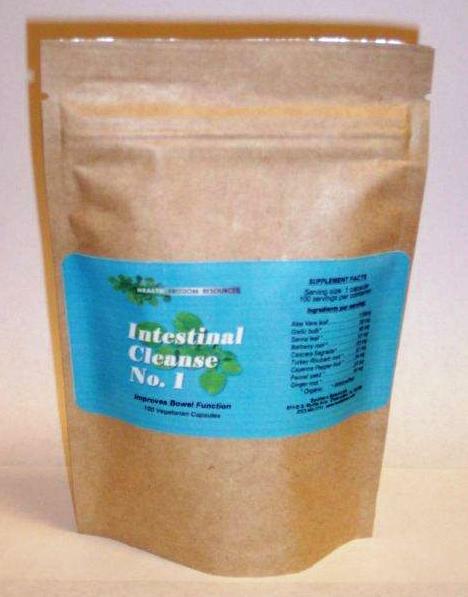 This supports the healthy digestion of foods and a health gastrointestinal PH. Apple pectin is a fiber that helps support healthy cholesterol levels. Grapefruit extract (Citrus paradise, 4 to 1 extract) – different grapefruit constituents influence intestinal and liver lipid transport as well as metabolism. Psyllium husk is a fiber which absorbs water within the gut, supporting an increase in fullness and lower caloric intake. Psyllium is also helpful in supporting healthy blood sugar and lipid levels. Choline bitartrate Choline supports and increase in the mobilization of fatty acids. Choline is needed for efficient fat metabolism. Alpha lipoic acid is a very powerful antioxidant. Bitter melon extract (Momordica charatia) helps support blood sugar control and fat burning. Pomegranate (standardized to contain 40% ellagic acid) is full of antioxidants that support the reduction in damage to the inner lining of blood vessels. 5-HTP supports healthy moods and the reduction of cravings. Chromium picolinate is a trace mineral that supports blood sugar metabolism. Each 2 capsules contain 20 micrograms which is 17 percent of the daily value. * Daily values not established for any of these herbs and this supplement. Nothing has been evaluated by the FDA. The product is not intended to treat, diagnose, cure or prevent any disease. This product is making no claims or guarantees of success. “Dr. 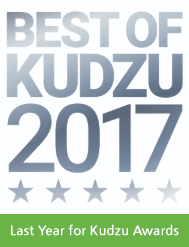 Rob” is a licensed practicing chiropractor (Dr. Robert G DeBease) that has studied in functional medicine, homeopathy, herbology and a host of other natural healing techniques. Other ingredients in this diet pill: Microcrystalline cellulose, gelatin, magnesium stearate, silicon dioxide, water. Vegetarians have the option to open the capsules and mix the herbs in water or juice. 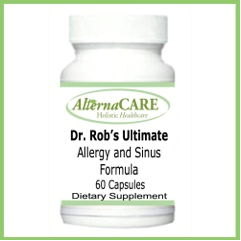 Dr. Rob’s Ultra Appetite Control diet pill has no soy, gluten, milk derivatives, artificial colors or flavors. Dr. Rob’s Ultra Appetite Control diet pill side effects: Thus far no major diet pill side effects have been reported from our patients except for appetite suppression. If you are sensitive to herbs, start with one capsule and limit yourself to 2 a day. Dr. Rob’s Ultra Appetite Control may give you extra natural energy and it is a good idea to use up this energy by taking a walk daily for at least 20 minutes. As with any herbal formula or medication, there may be rare individuals who get side effects even though almost every one else doesn’t. 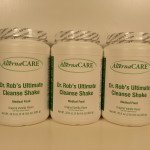 Discuss with your health care provider if Dr. Rob’s Ultra Appetite Control is appropriate for you before you purchase this product. If you are taking medications such as thyroid hormone, heart pills, anti-seizure drugs, anti-depressants, etc, discuss with your doctor who may either advise you not to take Dr. Rob’s Ultra Appetite Control, or perhaps to only use one capsule a day. If you have an unstable medical condition or taking multiple medications, we suggest not to use Dr. Rob’s Ultra Appetite Control and to be very careful using any supplement since studies are limited regarding the interactions of herbs and medications.